It is the ultimate climb for Dylan. It was Dylan who set off a lasting debate over whether lyrics, especially rock lyrics, can be regarded as art. Dylan, who gave the world "Like a Rolling Stone," ''Blowin' in the Wind" and dozens of other standards. He now finds himself on a list that includes Samuel Beckett, Toni Morrison and T.S. Eliot, whom Dylan referred to in his epic song "Desolation Row." The startling announcement out of Stockholm was met with both excitement and dismay. Dylan's award also was welcomed by a respected literary organization, the Academy of American Poets. Dylan's life has been a hybrid of popular and literary influences. He is a native of Duluth, Minnesota. As a boy, he looked up to Elvis Presley and James Dean. He also read avidly and seemed to absorb virtually every style of American music. "Blowin' in the Wind" was an instant protest anthem for the 1960s. Yet it sounded as if it had been handed down through the oral tradition from another century. It included such lines as "How many times must the cannon balls fly before they're forever banned?" "Like a Rolling Stone" was his takedown of a rich and pampered young woman forced to fend for herself. It was pronounced the greatest song of all time by Rolling Stone magazine. The six-minute recording from 1965 is regarded as a landmark that shattered the notion a hit song had to be three minutes. He won an Oscar in 2001 for the song "Things Have Changed." And he received a lifetime achievement award from the Academy of Recording Arts and Sciences. That was in 1991. The literature award was the last of this year's Nobel Prizes to be announced. The six awards will be handed out on Dec. 10. That is the anniversary of prize founder Alfred Nobel's death. It was in 1896. Writing a song is like writing poetry so it does not surprise me that he would be good at writing poetry. I think it is really cool how he is the first musician to receive a noble prize. I think that Bob Dylan can serve as an inspiration to many young musicians. I disagree with the decision to give Bob Dylan a Nobel Prize. The first reason why I am apposed to this action is because I don't think that literature is a big enough impact to be recognized for something as important as a Nobel prize. 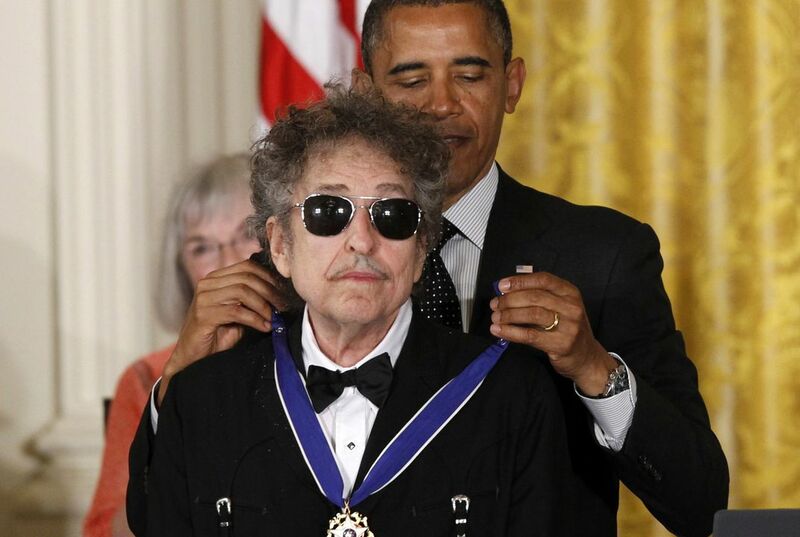 Another reason why I am against the idea to give Bob Dylan is because by looking in the article it appears that Obama gave Dylan the prize because he was a fan. "Congratulations to one of my favorite poets, Bob Dylan, on a well-deserved Nobel," tweeted President Barack Obama." That is a direct quote from Obama. It is possible that he had say in the person who got the prizes and picked someone he admired talent wise instead of someone who had made notable actions that had benefited the world in a positive way. 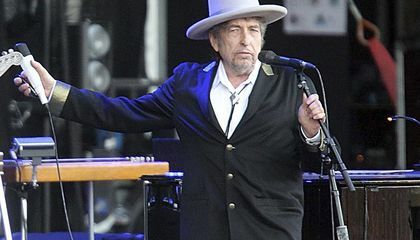 Although this article had no information on what Dylan received the Nobel Prize for, besides the category, I still do not agree with the decision to give Bob Dylan a Nobel prize for the lack of given reason and a possible bias. I also feel that writing music is some sort of poetry. It is poetry in a different manner. You can express your thoughts in poetry, so you can also do the same in music. I think that Bob Dylan is a genius. I would also classify him as a poet. I agree with the decision of him getting this prize. I agree. Storytelling in a musical form has been around for ages. It is about time someone got a prize for it. I agree with what you said about poetry. Bob Dylan’s songs are like no other and they are like poetry! I also really agree with their decision because he really did deserve the award! I agree with Dylan, i think that you can express your thoughts and feelings through both songs and poetry. I think he definitely deserved this prize. It is amazing that a songwriter has gotten the Nobel Prize for literature. Most people don’t realize that most good songs tell a story. I have songs that have told history from the eyes of those who lived it. It is good that rock is being recognized as an art form. I agree songs do tell stories, and listening to them you hear about how they lived that. Some songs are good songs to hear about history from people who lived it, and others are not. Lyrics are like literature because they come from a singer’s heart. Songs are a way for artists to express their thoughts and feelings. It is the same way for writing poems or books. Both singing and literature is a way to show their emotion. Bob Dylan is an awesome guy and his music is amazing. I think that Bob Dylan deserves the noble prize. Plus he is the first musicain to earn the noble prize.